TARGET: HEAD OF STATEA leader has fallen, and the procession route from Capitol Hill to the White House is lined with hundreds of thousands of mourners. None feel the loss of a President more keenly than Alex Cross, who has devoted his life to the public good. TARGET: UNITED STATES CABINETA sniper's bullet strikes a target in the heart of DC. Alex Cross's wife, Bree Stone, newly elevated chief of DC detectives, faces an ultimatum: solve the case, or lose the position for which she's worked her entire career. The Secret Service and the FBI deploy as well in the race to find the shooter. Alex is tasked by the new President to take a personal role with the FBI, leading an investigation unprecedented in scale and scope. 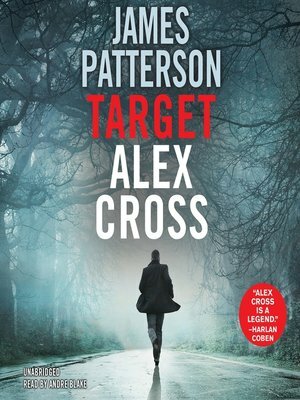 TARGET: ALEX CROSS Alex has a horrible premonition: is the sniper's strike only the beginning of a larger attack on the nation? It isn't long before his fears explode into life, and the nation plunges into a full-blown Constitutional crisis. His ingenuity, his training, and his capacity for battle are tested beyond limits in the most far-reaching and urgently consequential case of his life. As the rule of law is shattered by chaos, and Alex fights to isolate a suspect, Alex's loyalty may be the biggest danger of all.